Another quality puppy by Grand Champion Blackfox Dante. With limited showing this boy has had 2 Best Baby Puppy in Show Awards including a Specialty win. At entering Minor Class age group he has taken 2 Minor Puppy in Group and a Minor Puppy in Show. At 6 months and 5 days he also defeated mature,titled dogs to take his first 2 BOB's (10pts). The future also looks promising for this classy boy! Now a Multi Best and Runner-up in Group winner! Also Multi Class In Show winner. Go Vinnie! 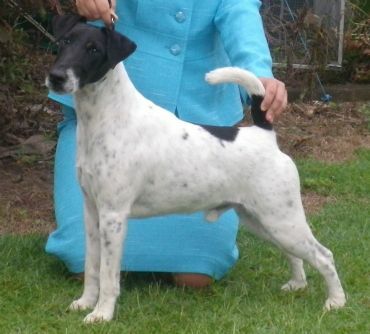 STOP PRESS: Vinnie takes Runner-up to Best in Show May 2010 under Mrs.D Jovanovic(Qld).